The Bajrang Dal is a militant Hindu organisation that forms the youth wing of the Vishva Hindu Parishad (VHP) and a member of the RSS family of organisations. The ideology of the organisation is based on Hindu fundamentalism. Founded on 1 October 1984 in Uttar Pradesh, it has since spread throughout India, although its most significant base remains the northern and central portions of the country. The group runs about 2,500 akhadas, similar to the shakhas (branches) of the Rashtriya Swayamsevak Sangh. The name "Bajrang" is a reference to the Hindu deity Hanuman. The Bajrang Dal's slogan is 'Sevā Surakṣā Sanskṛti' or "service, safety and culture." One of the main goals of the Dal is to build the Ramjanmabhoomi temple in Ayodhya, the Krishnajanmabhoomi temple in Mathura and the Kashi Vishwanath temple in Varanasi, which are currently disputed places of worship. Other goals include protecting India's "Hindu" identity from the perceived dangers of communism, Muslim demographic growth and Christian conversion, as well as the prevention of cow slaughter. In October 1984, the Vishwa Hindu Parishad (VHP) initiated the practice of regular processions to be held in Ayodhya in the state of Uttar Pradesh. These processions were called "Ram-Janaki Rathayatra" and were aimed at "awakening the society." While the VHP did not officially claim any anti-religion drivers for this practice, many sections of the society in India viewed this as a pro-Hindu movement. As a result, there was an environment of communal tension and threat surrounding this procession. Under these circumstances, Hindu saints in the VHP called upon the youth to protect the procession. Thus, the Bajrang Dal came into existence. The organisation has since spread beyond Uttar Pradesh. "The Bajrang Dal is not against any religion. It acknowledges respecting the faith of other people, but expects and asserts for a similar respect of the Hindu Sentiments. Being Hindu, the Bajrang Dal believes in validity of All Religions and Respect for all human beings, irrespective of caste, color, and religion (Aatmasvat Sarva Bhuteshu). It is for this purpose that the Bajrang Dal has undertaken various public-awakening campaigns. It does not believe in violence or any unlawful activity." In addition, Bajrang Dal said they would circulate five million handbills, giving details about the activities of Christian missionaries. Bajrang Dal national convenor Surendra Kumar Jain said the outfit would peacefully expose what he described as questionable means adopted by some Christian bodies to convert poor people under a world evangelical plan that specially targeted Hindu-majority India. Bajrang Dal, together with the Vishwa Hindu Parishad, has spoken out against Islamic Terrorism in India and have announced that they will carry out awareness campaigns across the nation. They have stated that Islamic terrorists are hiding among the general population in India and mean to expose them. Bajrang Dal convener Prakash Sharma stressed that they were not targeting any particular community, but were trying to "wake up" the people of India, particularly the youth, to the dangers of terrorism in the light of the 2002 Akshardham Temple attack perpetrated by terrorists linked to the militant group Lashkar-e-Toiba. Bajrang Dal shares the VHP's position against cow slaughter and has supported proposals for banning it. The Gujarat Bajrang Dal is at the forefront of the anti-beauty contest agitation. Another of its objectives is preventing Hindu-Muslim marriages. The organisation claims to work towards eradicating social evils like dowry and untouchability. Bajrang Dal was banned in 1992 by Narasimha Rao government following the Babri Masjid Demolition, but the ban was revoked one year later. According to the Human Rights Watch, Bajrang Dal had been involved in riots against Muslims in the 2002 Gujarat violence. In April 2006, two Bajrang Dal activists were killed in nearby Nanded in the process of bomb making. The same group of activists were also suspected for perpetrating the 2003 Parbhani mosque blasts. Those arrested later told interrogators they wanted to avenge several blasts across the country. NDTV subsequently accused the police of a coverup in Nanded A report by the Secular Citizen's Forum & PUCL, Nagpur claimed to have found maps of mosques at the home of one of the deceased. and on 24 August 2008 in Kanpur. The VHP leader, Praveen Togadia, was arrested in April 2003 after distributing tridents to Bajrang Dal activists in Ajmer defying ban and prohibitory orders. Togadia asserted that the coming Assembly polls in the Indian state of Rajasthan would be fought on the issue of tridents and attacked the ruling Congress Party for "placating" Muslims for electoral gains. He expressed satisfaction at the publicity received due to the incident. The Bajrang Dal has been accused of not allowing Muslims to own land in parts of Gujarat by attacking traders who sell to Muslims and by attacking Muslim homes and forcing the sale of the house or flat. This creates a ghettoisation of large cities in Gujarat, like Ahmedabad and Vadodara. On several occasions, acting as "Social Police" the activists of Bajrang Dal have caught un-married couples on Valentines day and forced them to apply sindoor or tie rakhis against their wishes. The activists of Bajrang Dal have often indulged in violence, invading gift shops and restaurants and threatening couples on Valentines day. In September 2008, a fresh wave of attacks directed against the Newlife Christian churches and prayer halls in Karnataka by the Bajrang Dal, as a protest against defaming Hindu gods and against religious conversion carried on by the Newlife Missionaries. Later, Mahendra Kumar, the convener of Bajrang Dal was arrested in connection with it even after he publicly announced that they are not responsible for the attacks, after the Center had strongly criticised the state Government. In addition, the National Commission for Minorities has also blamed them for the religious violence in BJP-ruled states of Karnataka and Odisha. However, some police reports claim that the Bajrang Dal was not involved per se and that the attacks were carried out by splinter groups. However, testimonies of Bajrang Dal activists show exactly the opposite, as they described the attacks and openly warned of more violence. Starting 14 February 2011, there has been a fresh wave of violence directed at people celebrating Valentine's Day in the city of Kanpur, in the province of Uttar Pradesh. "Offenders", so called, are forced to hold their ears and do sit-ups as punishment for being caught celebrating the "Western holiday". Police have been called in to calm the sectarian violence and discrimination. 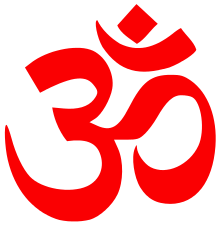 The United States Department of State's annual report on international religious freedom for 2000 and World Report (2000) by the Human Rights Watch labelled this organisation as a Hindu extremist group. Paul R. Brass, Professor Emeritus of Political Science and South Asian Studies at the University of Washington, described the Bajrang Dal as Indian equivalent of Nazi Germany's Sturmabteilung. Many Christian leaders took exception to this letter saying that Hinduism is a pluralistic religion. According to them The term Hindu extremists in the letter is unfortunate because we've maintained that criminals have no religion and whatever happened in August–September, 2008, was never the act of Hindus, said Orissa Minority Front president Swarupananda Patra. Blaming Hindus doesn't make minorities happy, as they are aware of Hinduism's secular tenant which probably isn't known to the US lawmakers. Bajrang Dal has also received criticism from moderate Hindu Nationalist organisations such as the Hindu Mahasabha. Bajrang Dal has been criticised for adopting the same violent methods as the Islamic fundamentalists in their attempt to curb the spread of Islamic terrorism, a move deemed by the Mahasabha to be counterproductive. In addition, the Bharatiya Janata Party member and former prime minister of India Atal Bihari Vajpayee have also come out in criticism of Bajrang Dal. Vajpayee said that the Bajrang Dal "only embarrassed the BJP" and urged the Rashtriya Swayamsevak Sangh (RSS) to "rein them in". After the religious violence in Odisha, the Bharatiya Janata Party Prime Ministerial candidate L. K. Advani advised the Bajrang Dal to cease association with violence, concerned with the fact that it took pressure off the UPA government in Delhi. In September 2008, the Indian National Congress (INC) demanded a ban on the Bajrang Dal and the Vishva Hindu Parishad (VHP) which according to the INC are involved in anti-national activities. Congress spokesman Manish Tewari said "White paper should be brought out not only against SIMI but all organisations involved in anti-national activities like Bajrang Dal and VHP". Congress spokesman Shakeel Ahmed said, "Those outfits involved in terrorist activity should be investigated, the question is why Bajrang Dal should not be banned". Muslim cleric Maulana Khalid Rashid Firangi Mahli, who is involved in the "Movement Against Terrorism", also demanded a ban on this organisation in the wake of the Kanpur blast. The monthly magazine Communalism Combat started by civil rights activists Teesta Setalvad and Javed Anand demanded an immediate ban on the Bajrang Dal in August 2008. Leader of the Lok Janashakti Party (LJP) Ramchandra Paswan describing the Bajrang Dal as communal organisation said, "Bajrang Dal and VHP should immediately be banned." The Indian National Congress, Union Minister Ram Vilas Paswan, former prime minister H. D. Deve Gowda and Uttar Pradesh Chief Minister Mayawati have demanded a ban on Bajrang Dal and Sri Rama Sena. In this regard, Deve Gowda sent a letter to prime minister and accused Bajrang Dal "for perpetrating senseless violence" against minorities in Karnataka and Odisha. On 5 October 2008, the National Commission for Minorities has recommended a ban on the Bajrang Dal and VHP for its alleged role in the attacks on Christian institutions in Karnataka. However, the ruling state government has the Minority commission's recommendations and does not support this suggestion. On 5 October 2008, the Indian prime minister has decided to call a special cabinet meeting to discuss a possible ban on the Bajrang Dal and the Vishwa Hindu Parishad over the continuing attacks on Christians and its institutions in Odisha and Karnataka. ↑ Chetan Bhatt (2001). Hindu Nationalism: Origins, Ideologies and Modern Myths. Berg Publishers. p. 199. ISBN 978-1-85973-348-6. 1 2 Anand, Dibyesh (2007). "Anxious sexualities: Masculinity, nationalism and violence". The British Journal of Politics & International Relations. 9 (2): 257–269. doi:10.1111/j.1467-856x.2007.00282.x. ↑ Deshpande, Rajeev (30 September 2008). "Bajrang Dal: The militant face of the saffron family?". The Times of India. Retrieved 2008-09-30. 1 2 "Dal v state". ↑ "Welcome to MEDIA-WATCH.ORG". media-watch.org. Archived from the original on 3 September 2006. ↑ "Three get death for Akshardham attack". Times of India. 2 June 2006. Retrieved 2008-08-04. ↑ "Cover Story: Bajrang Dal: Loonies at Large". india-today.com. ↑ Malegaon blasts: Is it Bajrang or Lashkar? ↑ Gupta, Suchandana (15 February 2008). "On V-Day, Bajrang Dal men force couple to get 'married'". The Times of India. ↑ "Sena, Bajrang Dal act spoilers on Valentine's Day". Rediff.com. 31 December 2004. Retrieved 2012-11-26. ↑ "Bajrang Dal protests against Valentine's Day". The Hindu. Chennai, India. 15 February 2008. ↑ Barbara Larkin. Annual Report on International Religious Freedom 2000. p. 508. ISBN 0-7567-1229-7. ↑ Human Rights Watch World Report 2000. Human Rights Watch. p. 188. ISBN 1-56432-238-6. ↑ Paul R. Brass (1997). Theft of an Idol: Text and Context in the Representation of Collective Violence. Princeton University Press. p. 17. ISBN 0-691-02650-5. ↑ "Kandhmal riots: US lawmakers seek action - The Times of India". The Times Of India. 12 October 2009. ↑ "Bajrang Dal ban: A case of political divide". rediff.com. ↑ "No ban on Bajrang Dal now: NSA". rediff.com. ↑ "Zee News: Latest News Headlines, Current Live Breaking News from India & World". zeenews.com. ↑ "Congress demands ban on Bajrang Dal". The Times of India. ↑ "Call for immediate ban on Bajrang Dal, VHP". The Hindu.